Today I’m beginning again. I unwrap canvases, pull back my tablecloth revealing a messy plastic tablecloth, lay down the canvases and begin to paint with gesso. 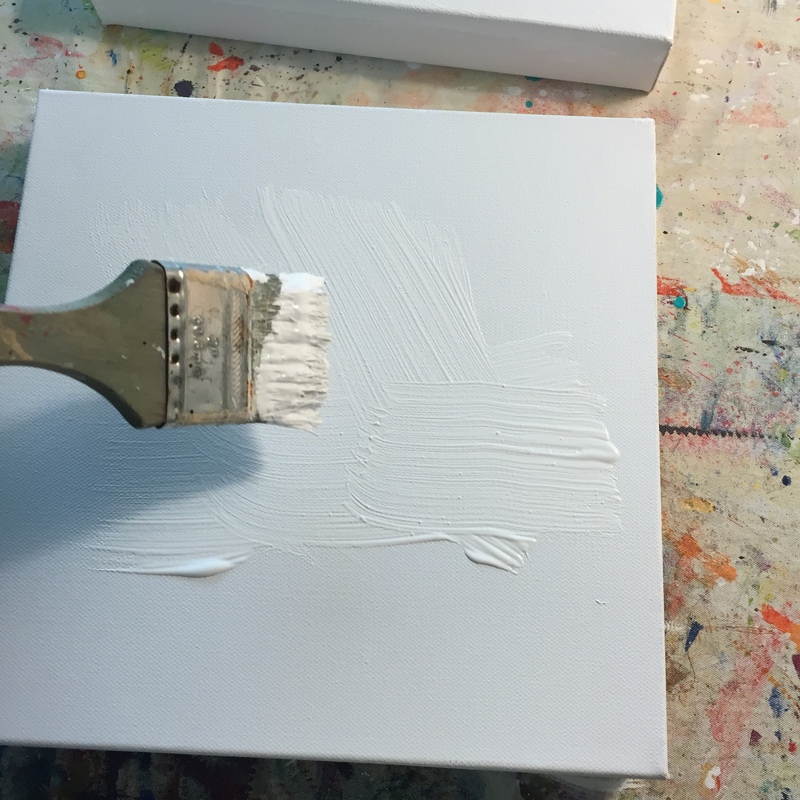 This product is a primer so that the painting sticks better. There is something to a blank canvas that has an expectation, a hope of something new. As I squirt the gesso out it feels like doing the next thing. I realize it’s not the most exciting place of creation, but so necessary. I want to be like that new canvas. I want to have things stick. I want to have something new emerge. I want to have anticipate that there is something new that is coming and will develop. Can I be vulnerable and start something new? Can I risk knowing there is nothing there yet? Can I have hope for the future? Anybody else need a fresh start? What space can you create to start something to create? Why I started this blog, recreate?